In the theme of my last post, here is another post featuring potatoes. Dan had a hankering for fries and as we have no deep fryer, he had to resort to finding another way. 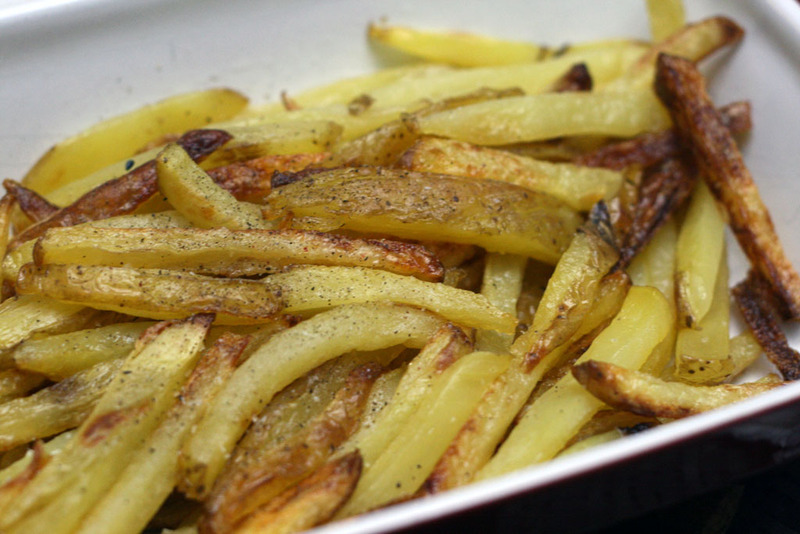 Of course, oven baked fries were the answer. Using a bunch of different techniques including Kenji from Serious Eat's vinegar water solution for boiling the potatoes, here is what we did. As with any recipe for fries, first wash your potatoes. We left the skin on our potatoes as it gives a different flavour to the resulting fries. Next, slice the potatoes lengthwise and into fries. Of course, please be careful at this step if you do choose to use a mandolin (What you don't see in these photos is Dan cutting his finger on our mandolin! Don't worry, he is better now but I did come home to quite a sight that night). Once the fries are cut (about 1/4 inch thick), boil them in a vinegar water solution (2 tablespoons of vinegar in a large pot of water with 1 tsp of salt). 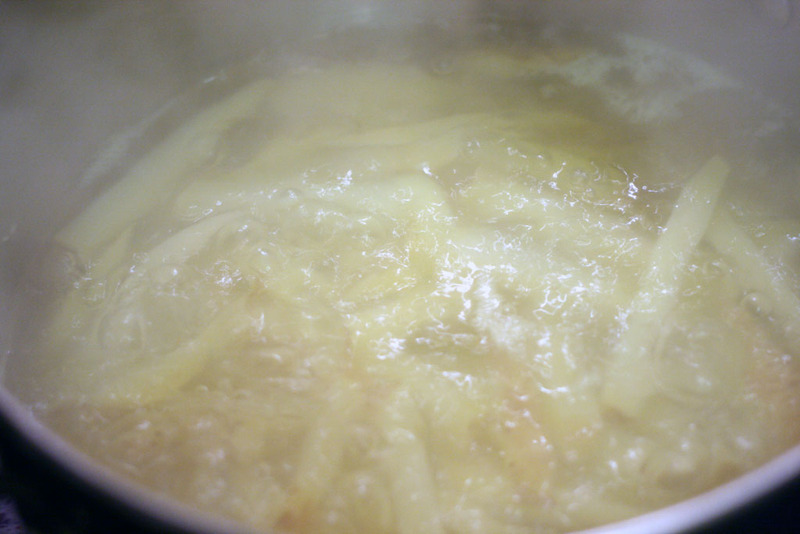 Boil the potatoes in the vinegar water solution for 10 minutes or until the fries are slightly floppy. 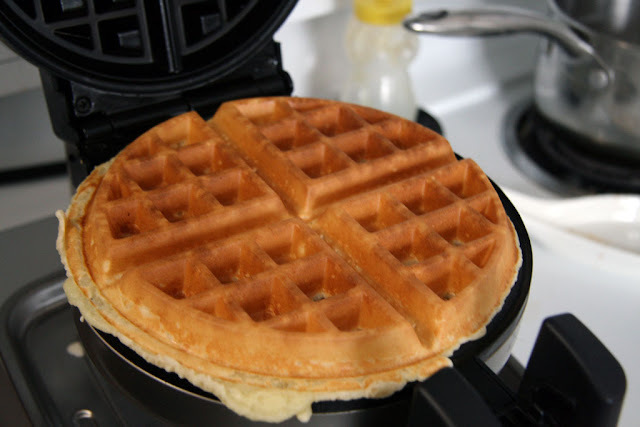 Do a test if needed by taking one fry out and waving it back and forth to test for floppiness. Drain the fries in a colander. Then, dry them with a paper towel. During this step, the fries are still hot so be careful. While the fries are cooling and drying, preheat the oven to 450F. Evenly pour the 1/4 cup of canola oil into a large metal baking tray and carefully place the tray into the oven. If possible, find a baking tray with sides. 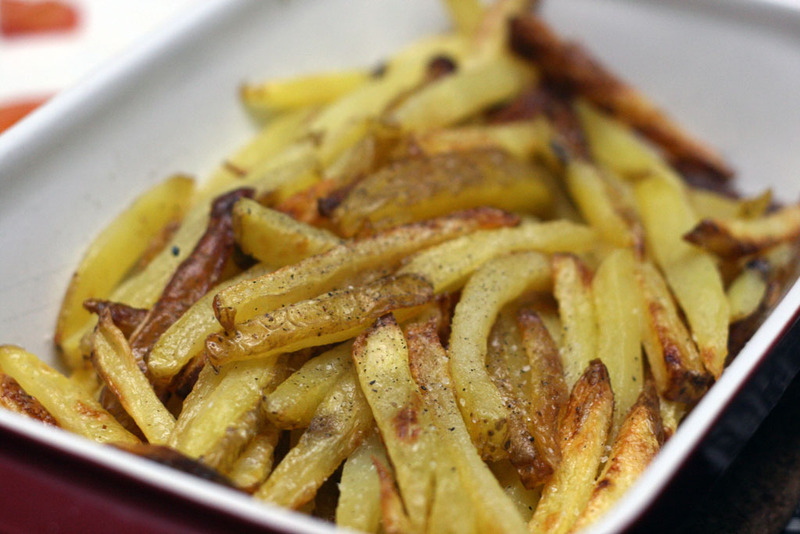 Once the pan has been pre-heated to 450F, gently place one batch of fries on the hot pan (you will be cooking the fries in batches). The fries will begin to sizzle in the oil immediately. Try to spread the fries out to avoid crowding (otherwise your fries will be steamed and be limpy instead of crispy). 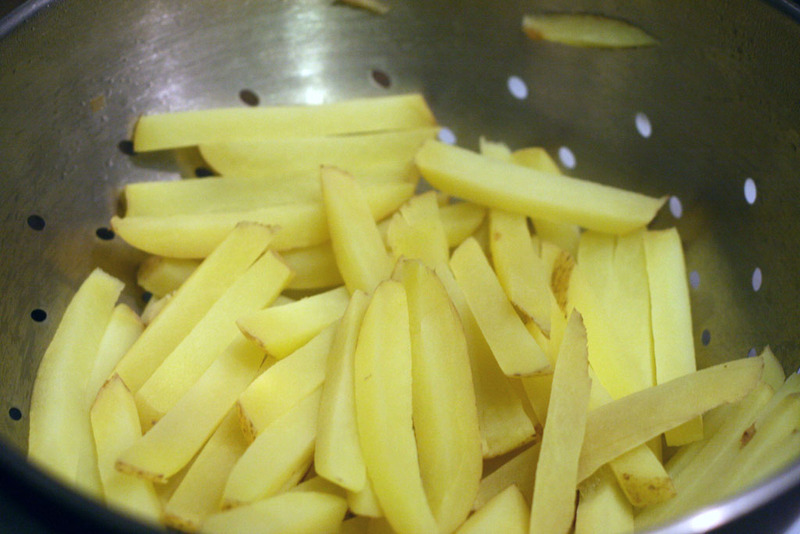 Let the fries bake for 10 minutes, then carefully turn the fries over using a metal spatula or tongs. Bake the fries for another 10 minutes or until golden brown. 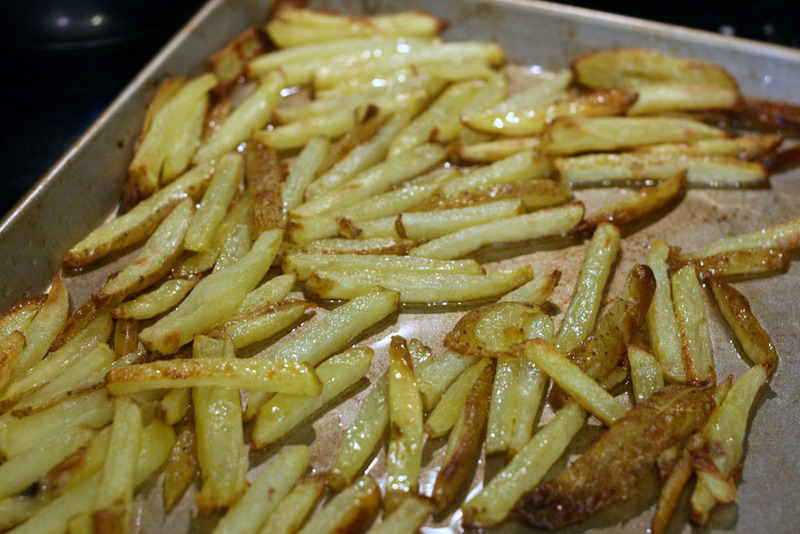 Carefully take the batch of fries out of the oven and sprinkle with salt. 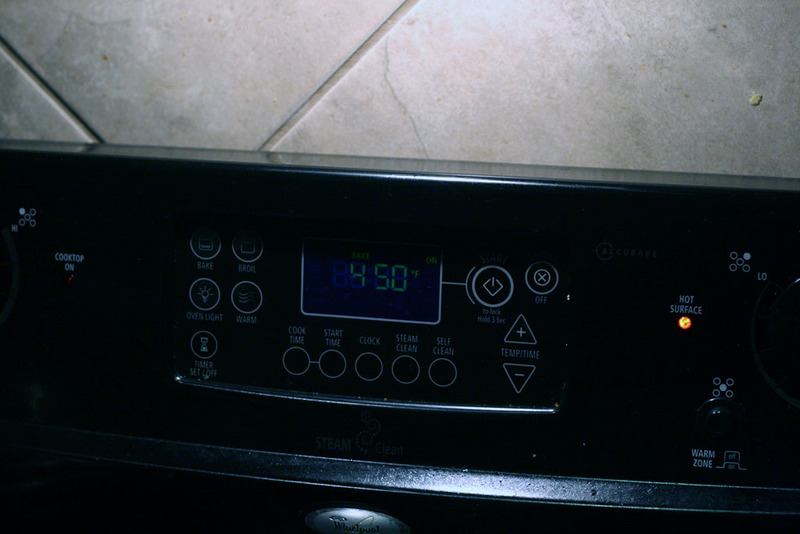 Replace the pan into the oven to preheat and repeat the directions for the next batch of fries. This recipe is easy to follow and is slightly different from others as you first boil the potatoes in a vinegar solution. This helps remove some of the starch allowing the fries to crisp! 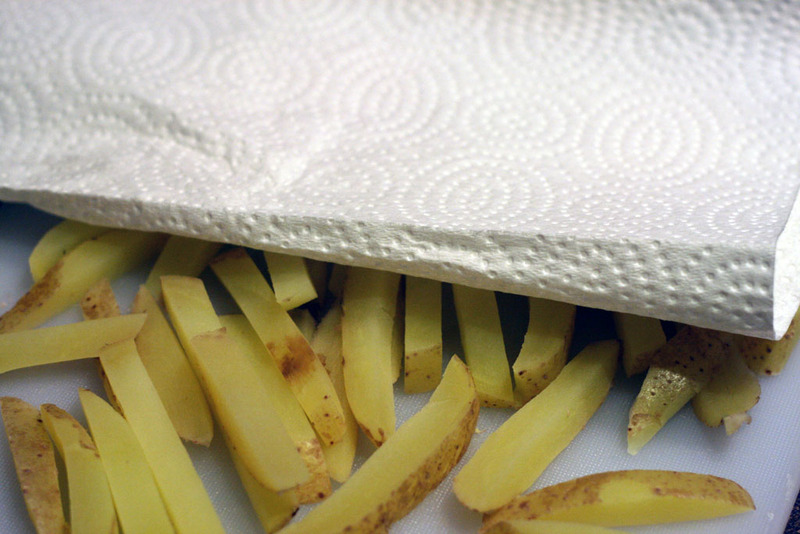 One thing to remember is that you do want to dry the fries as much as possible before you bake them. That way, there will be less water contacting the oil on the pan which will cause splattering. 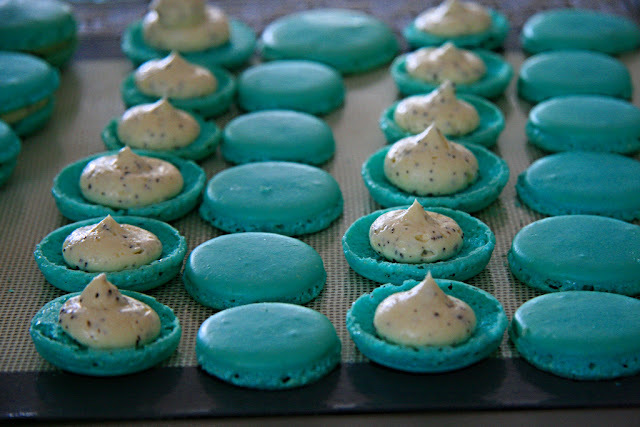 I would definitely make these again. 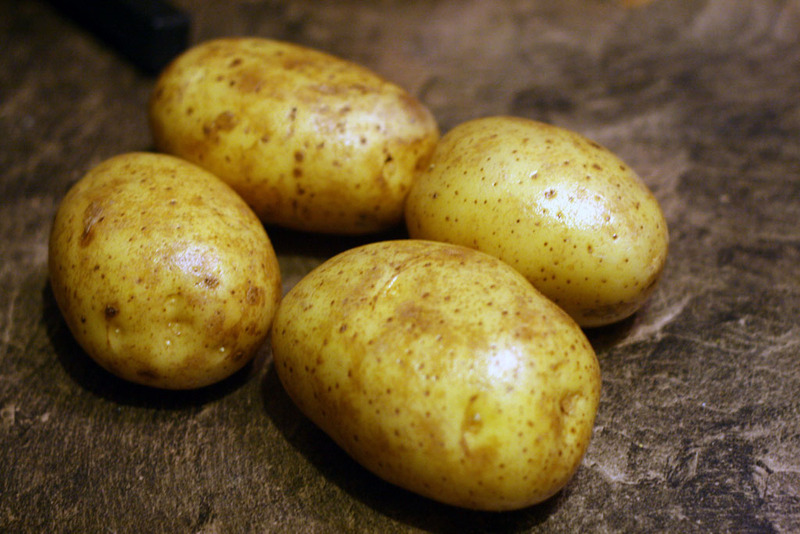 However, I would like to try different kinds of potatoes to see how well they will bake as fries. Also, Dan wants to try drying the boiled fries in the fridge overnight to see if they will result in even crispier fries. He also admits that would take more planning and may not be worth the wait. Going to have to try this recipe out!